There's no love greater than a mother's love. Dear mom, I love you so much, though I don't tell you this often enough. My mom is such a superwoman, juggling housework, never ending piles of dishes and laundry, she also is the best cook ever. She will always be there for me even though I may take her for granted at times. There's no way I could repay her for all her sacrifices. 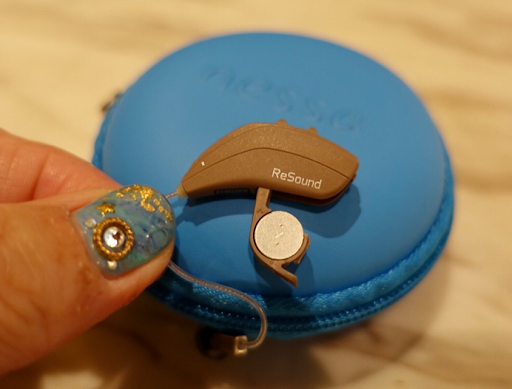 Well, if you still remember, last month I brought my mom for a professional hearing test with Nessa's audiologist and the test results indicate she needed to wear hearing aids. At least this is a small gesture I could do for her. My mom hearing aid fitting began with the audiologist measuring my mom ears for the correct length of earwire to connect it behind the ear. Based on the hearing test evaluation, the audiologist then fine tune to make sure the correct amount of amplification is provided to maximize the hearing aid benefit. Did you know proper verification of the hearing aid settings are important for a successful hearing aid fitting? Rest assured, I can leave it in the good hands of the friendly and professional audiologist. 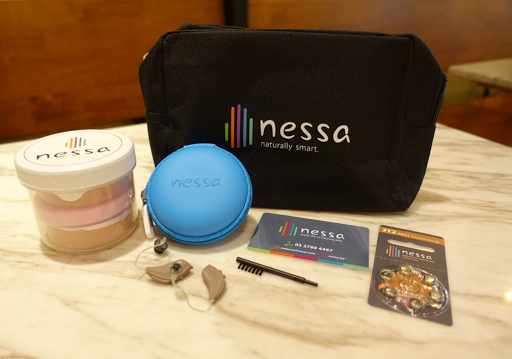 The complete set of Nessa hearing aid comes with a moisture-proof container, travel pouch, cleaning brush, batteries and a Nessa membership card. 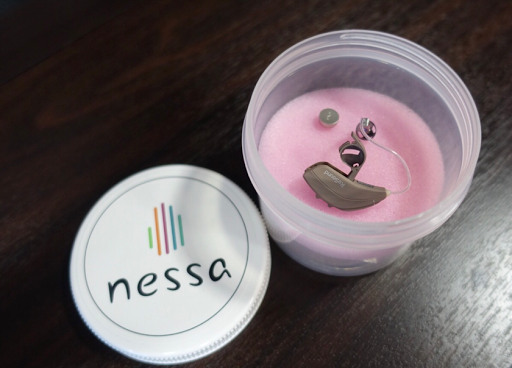 Nessa smart hearing aids are made in Demark and co-designed with Apple. 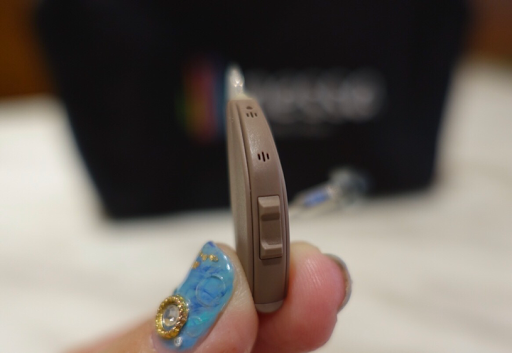 The hearing aid slim design, fit snugly behind the ear. 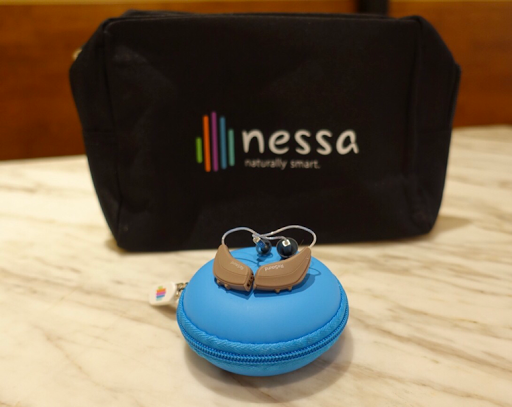 Neesa is the only hearing aid provider that offers a 36 months manufacturer warranty which covers repairable damages, an extensive protection plan against loss, theft and irreparable damages. 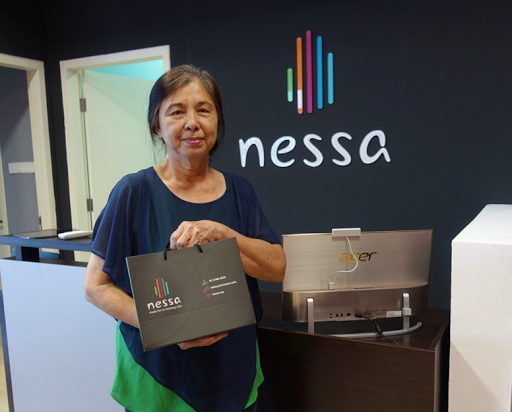 Nessa also provide free batteries with the package. 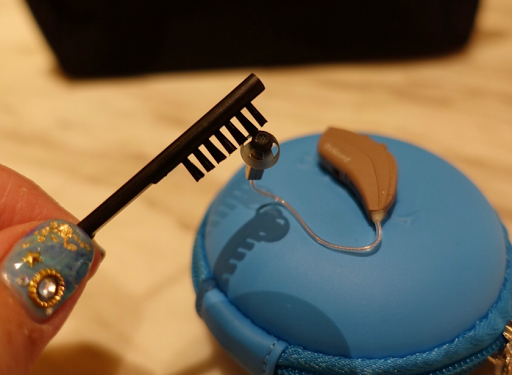 The special brush for cleaning of earwax or moisture deposits from the hearing aid. When not in use, the hearing aid need to be stored in the dehumidifying storage box to prevent the hearing aid malfunction caused by moisture and debris. 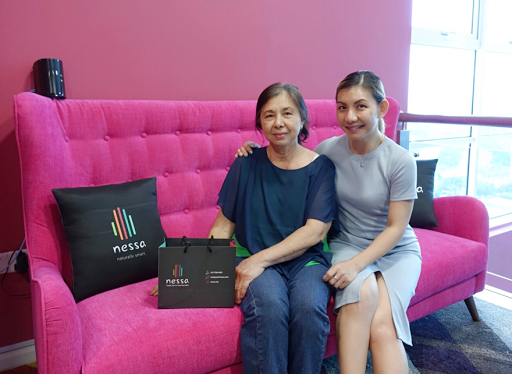 Thanks to Nessa, now my dearest mom can hear better and communicate with ease. We are also assured of personalised service to the concierge team of audiologists and lifestyle advisors who are available 5 days a week between 9am to 10pm accessible via phone, email, live chat, SMS or WhatsApp.